Wedding car Brno – hire a modern or classic wedding car by MOTTIFY PRAGUE CHAUFFEURS. Our vehicles are undoubtedly a symbol of luxury and uniqueness! We know that is very important to be at the hand of our customers and partners as well. For this reason, we have established our branch-affiliate in Brno as well. Our branch in your city offers a varied range of cars for short-term rent or long-term hire. Cars from our fleet you can find here. We rent from personal small cars through luxury executive cars, limousines, sports cars, SUVs, off-road, minibus to convertibles. 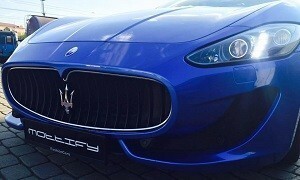 The Maserati GranTurismo equipped with a Ferrari-built V8 engine is a comfortable and luxury sports car combined with some limousine features. Exceptionally spacious interior and loads of Italian character is a must. The cabin is upholstered in supple leather by Italian firm Poltrona Frau, while fine wood complete dashboard and rear areas. Our clients really love the Granturismo because it is an extraordinary blend of performance and practicality for every special occasion. 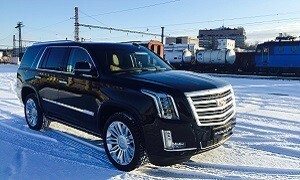 The Cadillac Escalade is definitely one of the all-time best-selling luxury American SUV ever. Simply luxurious, classy, cavernous and comfortable. Our Cadillac Escalade is a superb choice for a wedding transport with your closest friends or family members. This stunning SUV provides you with the comfort that you need to accommodate all the closest wedding guests in one car for an unforgettable experience. This chauffeur-driven car by MOTTIFY PRAGUE CHAUFFEURS is a spacious and comfortable choice for VIP travellers, wedding chauffeur hire and business airport transfers. As you might assume at the top of the range, our black Audi A8 Long connects timeless elegance with the current innovations. Adaptive air suspension combined with a unique quattro technology makes this limousine the safest of luxury chauffeur-driven cars.